One of my favourite hobbies is working on jigsaw puzzles. I just find they are a great way to take my mind off of other things, and I’m drawn to crazy cartoon-style puzzles for the most part. 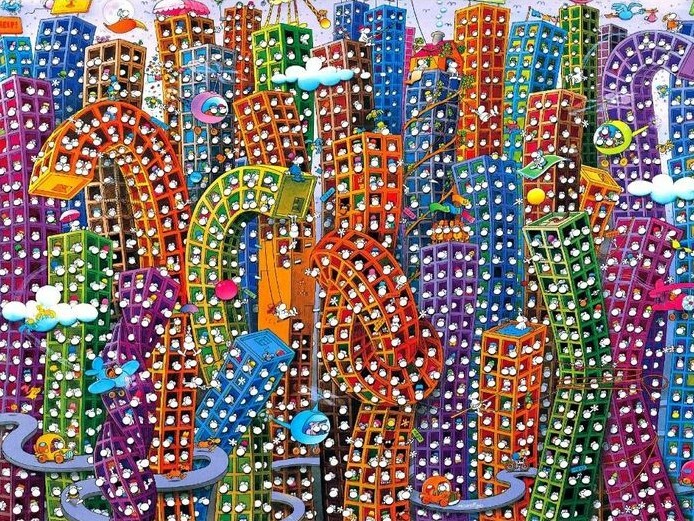 My favourite cartoonist puzzles are Mordillo puzzles by Heye. He has some crazy designs! This is one of the puzzles still on my shelf. It’s a 2000 piece one I think! It will be fun and take a while to complete I’m sure. This is my favourite puzzle and the one currently on my dining room table. This weekend, I’m celebrating Christmas a couple of weeks early with my dad & stepmom and one of my gifts is another crazy puzzle. 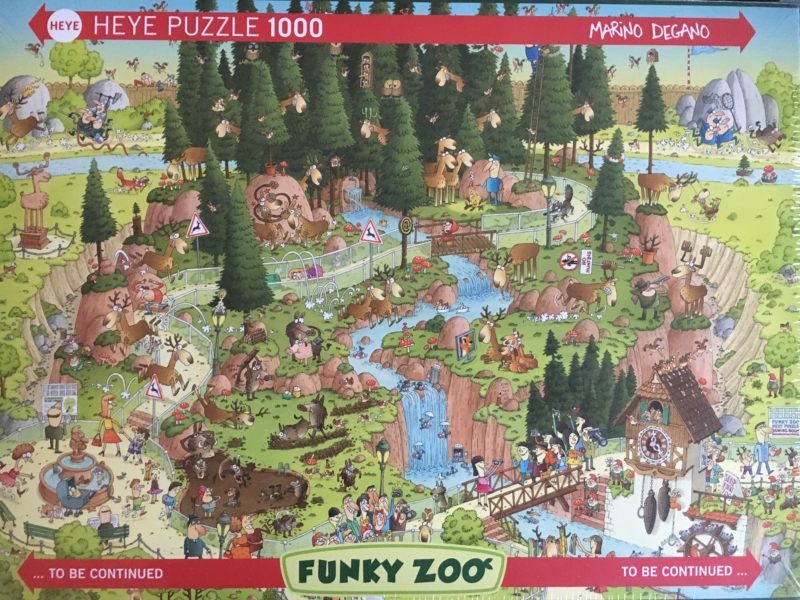 This one is in a series called Funky Zoo, also manufactured by Heye. 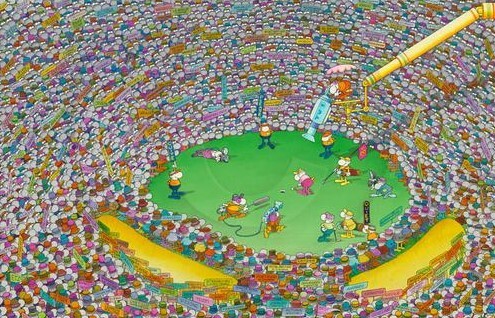 It looks similarly crazy compared to the Mordillo ones. All of these puzzles just make me laugh because once you start looking closely at the details, you realize how much going on in the cartoon. It’s just nuts, but fun! I updated this post to add some neat info about the artist whose puzzles are my favourites: Mordillo. He has a very cool website, check it out! His artwork is available for purchase on www.mordilloart.com. Dynamics GP 2018 is released!